Sometimes, it can be hard to ascertain whether one should spend the marketing budget on design and artwork. On the other hand, how one’s audience perceives your business is extremely vital to it’s success. Your brand may be going through a period of significant growth and you may be receiving a lot of new attention to your business and want to make the best first impression to your future customers. Investing in a new logo, upgrading your website and other elements of your branding can put you in a more powerful position where you can better communicate who your brand is to the people that matter to you. 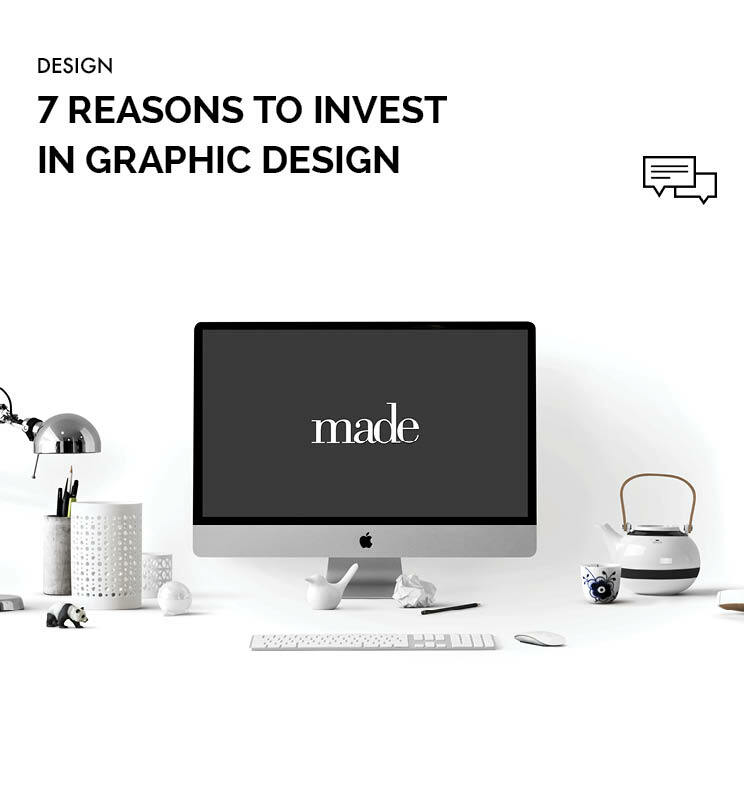 Graphic design can be an important tool to help you to connect with your customers on a meaningful level. A brand is much more than a logo, it also encapsulates all that the business believes and is about. For example, Nike which has made the Forbes list to be one of the most powerful brands in 2017, has a powerful brand strategy using the emotional branding technique of heroism to inspire customer loyalty. Through graphic design, Nike has been able to communicate its values and strategy powerfully, such that people are able to be touched, moved and inspired by their campaigns. If you find your business to be roaming in the woods of massive irrelevance and competition, graphic design can rescue you and help you stand out from the crowd. You will be surprised how just a well-designed logo and other collateral can help to put you in a much better position. Customers tend to expect your business to have a defined profile in public space. If your branding is different from place to place it can ruin the impression your company has on its customers and also create confusion. Consistency begins with creating a good logo and from there it is useful to engage a creative branding agency to figure out the next steps in creating a brand with a unified voice and identity. When launching a new product or service it is always important to ensure you are presenting yourself correctly to the market and making a great impression. Graphic design can help in this way and create something instantly recognised while being aesthetically pleasing. In this way, good design can significantly impact your sales and the success of your product and or company. The market has rapidly transformed over the past decade from what it once was. If your brand has been established for a lengthy amount of time, it is worth considering whether your logo needs to be updated to freshen up its appearance and image. When graphic design is well considered in the beginning stages of a business it can aid its growth and development. Creating a lasting impression to customers is important and continuation in communicating with them is important for the brand. Poor graphic design can be detrimental to a brand’s image and impact upon its success.